On August 27, 2017, a tropical wave left the west coast of Africa. Within four days it had become Hurricane Irma – the most powerful hurricane ever recorded in the Atlantic Ocean. Hurricane Irma made landfall on September 6, leaving a string of Caribbean islands completely devastated. With wind speeds of up to 185 mph, Irma maintained Category 5 strength for 60 consecutive hours. But the devastation didn’t stop there. 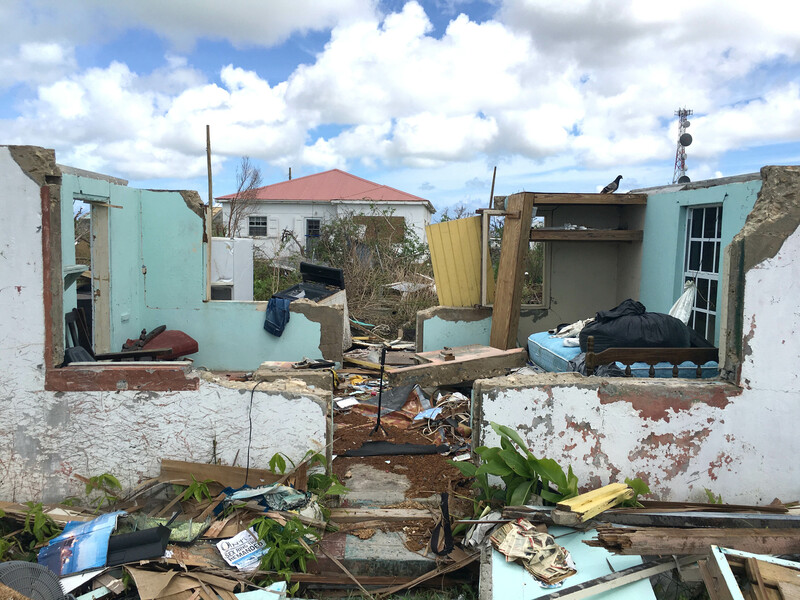 Almost two weeks later, Hurricane Maria hit the same islands that took the brunt of Irma’s wrath. Also a Category 5 hurricane, Maria sustained winds of 155 mph, taking down home after home. 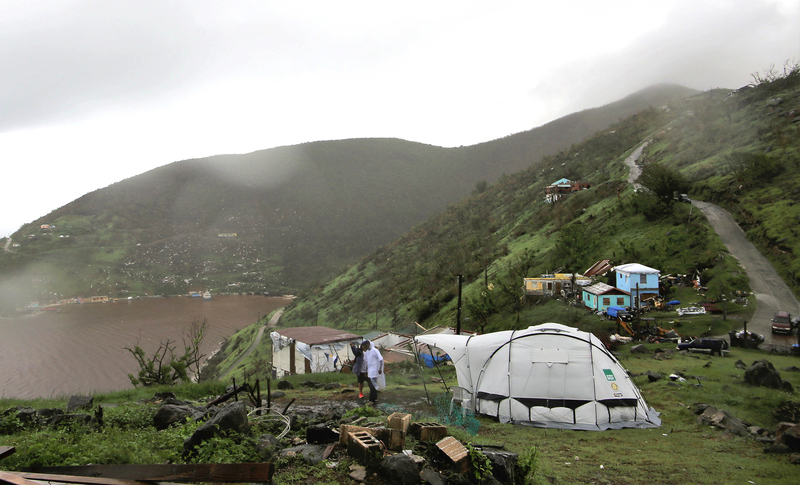 When the hurricane passed over Dominica, it destroyed all of the buildings on the island. In the year since the hurricanes hit, we have delivered aid across six countries, tailoring our response to best support different communities. Below image: A ShelterBox Tent at night on the island of Barbuda. Charity Navigator lists ShelterBox USA as one of the highly-rated charities responding to Hurricane Irma. 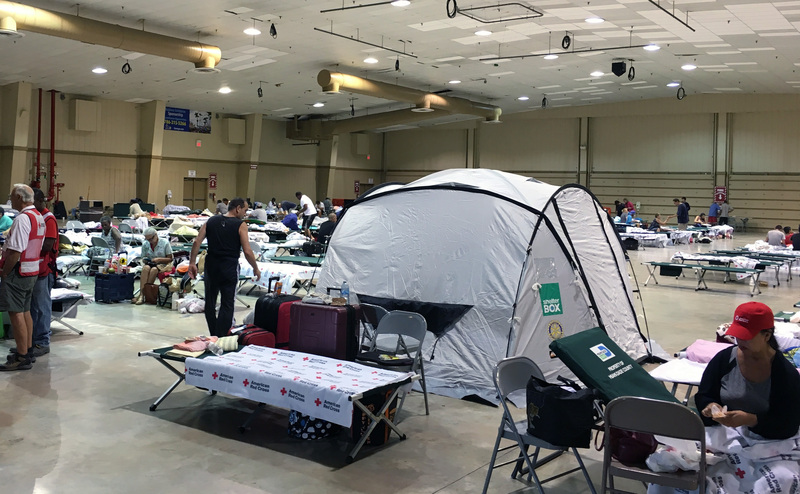 One of the teams landed in Florida and distributed tents for medical usage in Miami-Dade, similar to the shelter-in-shelter solution provided in Houston following Hurricane Harvey. These tents allow for additional comfort and privacy and help preserve dignity for those displaced. 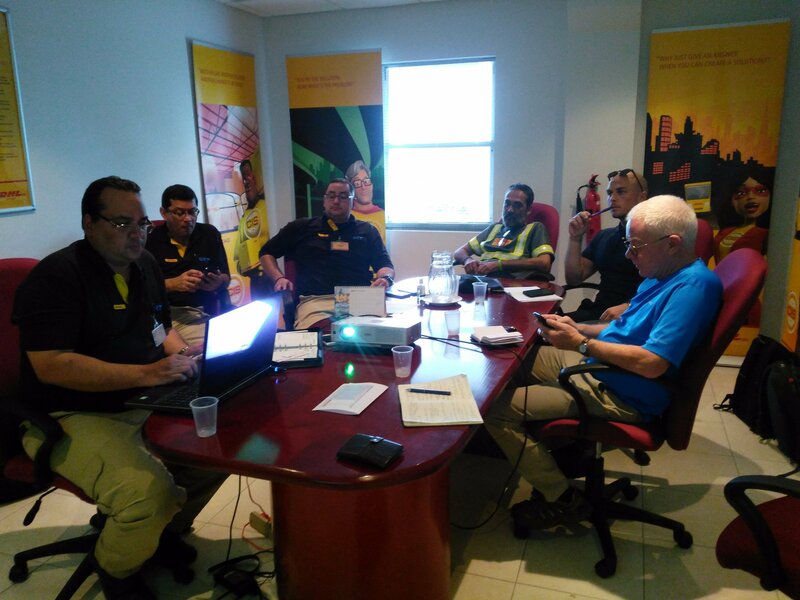 The IRMA/Hurricane Relief Fund was launched to provide support for all costs associated with ShelterBox’s response to Hurricane Irma and other 2017 hurricanes. 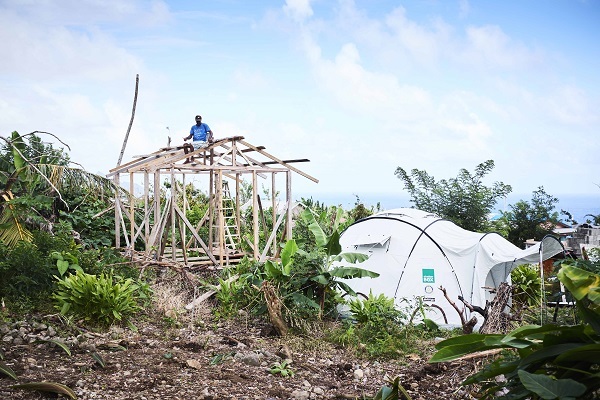 We’ve supported communities in several of these places before, including Haiti after the massive earthquake in 2010 and Hurricane Matthew, which hit last year. We also have a strong network of contacts, partners and Rotary connections in the region, to help us to identify communities in need of support.